Assistant Prof. Dr. Busarakorn Mahayothee was invited to give some advices on the use of a solar dryer for drying coffee bean to producers in Bali, Indonesia on July 28-31, 2018. Assistant Professor Dr. Busarakorn Mahoyothee was invited to give lecture at the Department of Tropics and Subtropics, Institute of Agricultural Engineering, The University of Hohenheim, Stuttgart, Germany on the topics "Quality Assessment of Fresh and Dried Tropical Fruits" and "Dried Thai Herb Tea using a Solar Dryer" during May 29 - June 11, 2018. Assistant Professor Dr. Sopark Sonwai was invited to present a research on the topic of “The effect of hard lauric-fats and plant waxes on the crystallization of confectionery fats” in 2nd International Symposium on Low-Temperature Processing of Foods at Chuzhou University, Chuzhou, Chaina on May 31 - June 1, 2018. Assistant Professor Dr. Pramote Khuwijitjaru received the ASEA-UNINET Staff Exchange, One Month Scholarship to conduct a short research with Univ.-Prof.Mag.Dr. Christian W. Huck at Center for Chemistry and Biomedicine, University of Innsbruck during October 1 - 31, 2017. 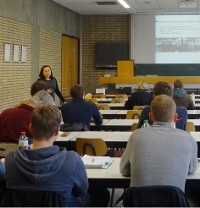 Miss Khwanjai Klinchongkon, a Ph.D. student under supervision of Dr. Pramote Khuwijitjaru went to stay at Institute of Process Engineering in Life Sciences Section I: Food Process Engineering, Karlsruhe Institute of Technology (Germany) as a Guest Researcher under the Royal Golden Jubilee PhD. Program from July-December, 2017. 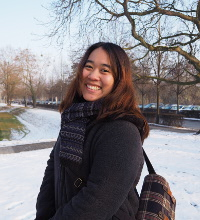 Miss Nilobon Komolsing, a Ph.D. student under supervision of Dr. Busarakorn Mahayothee, received the "Visiting PhD Sandwich Scholarship" from Food Security Center (FSC), the University of Hohenheim, Stuttgart, Germany under the Program "exceed-Higher Education Excellence in Development Cooperation" to conduct part of her Ph.D. research with Prof. Dr. Joachim Mueller at Institute of Agricultural Sciences in the Tropics from Nov. 22, 2016 - Feb. 19, 2017. 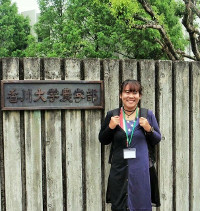 Miss Khwanjai Klinchongkon, a Ph.D. student under supervision of Dr. Pramote Khuwijitjaru went to stay at Graduate School of Agriculture, Kyoto University, Japan as a Special Exchange Student under the Royal Golden Jubilee PhD. Program. She will undertake part of her research in Japan from September 2016 to March, 2017. 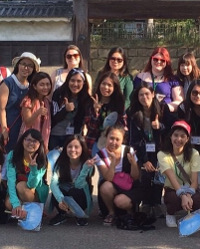 Miss Tamonwan Sotachat, undergraduate student was selected to join the International Exchange and Educational Program for Food Safety at Kagawa University, Japan for 1 month from August 19 to September 21, 2016. 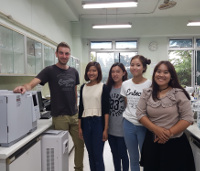 Mr. Finn Petersen, a master degree student from University of Hohenheim, Germany stayed at the Department of Food Technology to conduct his research entitled Evaluation of solar drying technologies to optimize quality through upgraded processing of traditional medicinal plants in Thailand from June to August, 2016 under supervision of Dr. Busarakorn Mahayothee. 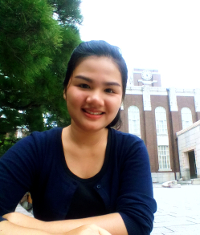 Miss Nilobol Komonsing, a Ph.D. student received a grant from the Japan Science and Technology Agency (JST) under a program called "Japan-Asia Youth Exchange Program in Science" to visit Faculty of Agriculture, Kagawa University, Japan during July 10-20, 2016. 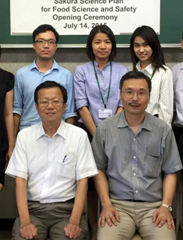 Dr. Pramote Khuwijitjaru (left) joined the Graduate School of Agriculture, Kyoto University, Japan as a Visiting Associate Professor during February - May, 2016. 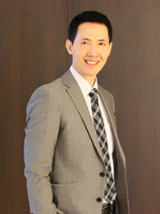 Assistant Prof. Sopark Sonwai is one of seven Thai researchers who was selected by the Newton Fund to join the "2016 Leaders in Innovation Fellowships Programme" organized by Royal Academy of Engineering. Dr. Sopark will participate in the seminar in London, UK and present a business plan from his research work on using mango seed fat in chocolate products. Assistant Prof. Busarakorn Mahayothee was awarded for "Re-invitation Fellowship for International Research Alumni" from Universität Hohenheim, Germany and gave a lecture on the topic "Handling and Processing of Tropical Fruits" for master degree students at the Department of Agricultural Engineering in the Tropics and Subtropics, Institute of Agricultural Engineering on December 14, 2015. 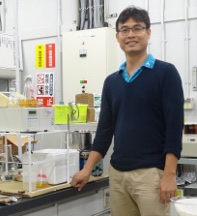 Assistant Prof. Dr. Pramote Khuwijitjaru has been awarded "2014 JSFE Award for Outstanding Young Researcher" from the Japan Society for Food Engineering. 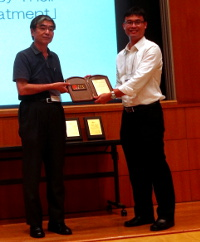 Dr. Pramote have participated the award ceremony and gave a lecture in 16th Annual Meeting of Japan Society for Food Engineering at Hiroshima City University, Japan on August 10th, 2015. 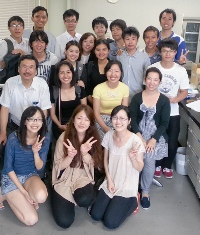 Miss Busakorn Sachareon, a master course student of Department of Food Technology, received a grant from the Japan Science and Technology Agency (JST) under a program called "Japan-Asia Youth Exchange Program in Science" to visit Faculty of Agriculture, Kagawa University, Japan during July 14- 31, 2015. Miss Sahira Carolina Vásquez Báez, a master course student from Institute of Agricultural Engineering, Tropics and Subtropics group, the University of Hohenheim, Germany came to do a research work on the drying of pineapple for 3 months (May 1 - July 28, 2015) under the supervision of Assistant Prof. Busarakorn Mahayothee. 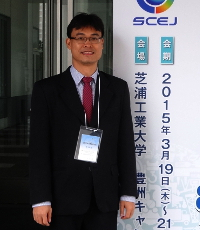 Assistant Professor Pramote Khuwijitjaru was invited by The Society of Chemical Engineers, Japan to give a presentation on the topic of "Production of carbohydrate products from tropical fruit wastes by subcritical water treatment" in SCEJ 80th Annual Meeting at Shibaura Institute of Technology, Tokyo, Japan on March 20, 2015. 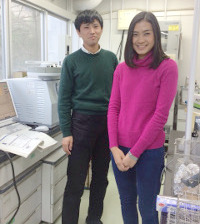 Miss Aleeya Lerdkuson, a master degree student, went to the Laboratory of Bioengineering, Division of Food Science and Biotechnology, Graduate School of Agriculture, Kyoto University, Japan as an exchange student to undertake her short-term research with Professor Shuji Adachi from February 8 - March 7, 2015. Mr. Ignacio Lopez Cerino, a Ph.D. student from the Chapingo University, Mexico who works under the co-research project between the Institute of Agricultural Engineering, Tropics and Subtropics group, the University of Hohenheim, the Faculty of Science, Department of Physics and the Faculty of Engineering and Industrial Technology, Department of Food Technology, Silpakorn University came to conduct a part of his dissertation on the topic of "Mathematical modeling of the pineapple drying in a solar greenhouse dryer, using energy and humidity balances" from 2 October to 14 December 2014. 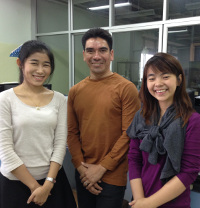 During his stay at Silpakorn University, Nakhon Pathom, Thailand, he was working under the supervision of Assist. Prof. Dr. Busrakorn Mahayothee and Assoc. Prof. Dr. Serm Janjai. 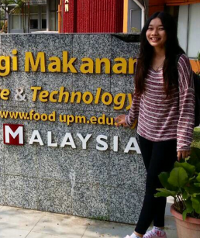 Miss Sukanya Segekul, a master course student of Department of Food Technolgy, received a scholarship from the Office of the Higher Education Commission to go for an exchange at Department of Food Technology, Faculty of Food Science and Technology, University Putra Malaysia (UPM), Selangor, Malaysia. Prof. Chin-Ping TAN of the UPM was kindly accepted Miss Segekul to perform experiments for 2 months (October-November, 2014). Assistant Professor Dr. Pramote Khuwijitjaru was granted for FY 2014 JSPS Invitation Fellowship Program for Research in Japan (Short-Term) from the Japan Society for the Promotion of Science (JSPS) to conduct a research at Graduate School of Agriculture, Kyoto University with Professor Shuji Adachi from October 3 - November 7, 2014. 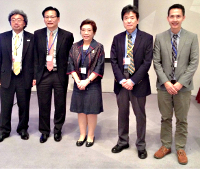 Assistant Professor Dr. Sopark Sonwai had been invited to speak on the topics of "Utilization of rice bran oil as margarine fats and shortenings” and “Cocoa butter alternatives from seed fats of tropical plants” in the 1st Asian Conference on Oleo Science (ACOS2014) in Sapporo, Japan (September 8-10, 2014). Miss Khwanjai Klinchongkon, a Ph.D. student of Department of Food Technology, received a grant from the Japan Science and Technology Agency (JST) under a program called "Japan-Asia Youth Exchange Program in Science" to visit several research groups at the Faculty of Agriculture, Kagawa University, Japan during July 15- August 3, 2014. 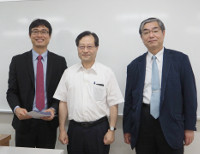 The program was arranged by Professor Hirotoshi Tamura of the Division of Bioresource Utilization. 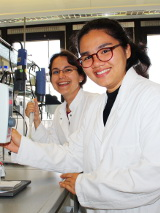 Miss Nilobon Komonsing and Miss Pasinee Yuwanbun, two master course students of Department of Food Technology were granted for exchange at University of Hohenheim, Germany. Prof. Dr. Joachim Mueller of the Tropics and Subtropics Group, Institute of Agricultural Engineering has kindly accepted both students to conduct their experiments from April 2 - June 30 and May 14 - June 30, 2014, respectively. 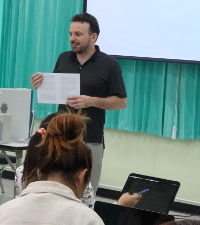 Dr. Marcus Nagle, a visiting researcher from Institute of Agricultural Engineering, Universität Hohenheim, Germany kindly gave a lecture and a workshop on the topic of "Writing a Scientific Research Article" to graduate students at the Department of Food Technology (April 28, 2014). 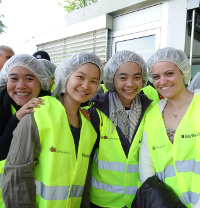 Assistant Professor Dr. Busarakorn Mahayothee joined the Food Security Center (FSC) at University of Hohenheim, Germany as a visiting professor from October, 2013 - September, 2014. Miss Pawitchaya Podchong, a master course student, received a scholarship from the Office of the Higher Education Commission to go for an exchange at School of Chemical Sciences & Food Technology, Faculty of Science and Technology, National University of Malaysia for 2 months (August 19, 2013). The exchange was under a collaboration between Assoc. Prof. Wan Aida Wan Mustapha of the National University of Malaysia and Assist. Prof. Sopark Sonwai of Department of Food Technology.